Did her folks tend to live longer than your folks, Eric? If so, some of yours​ probably would've gone that way if they'd lived longer (cancer being a disorder of old DNA, essentially).... Dunno. Blackwhite wrote: Did her folks tend to live longer than your folks, Eric? Yeah, probably, so I guess that's a factor. Yay! I'll be dead before I get cancer! As Danny/Kummel would say, that's the spirit! I think I am now. Last night I got a kicking on the way home from the pub. She thinks I got hit by a jealous husband. You couldn't make it up! She's pissed with me because I'm off to an old mates wedding in St Ives. I wanted her to come but she won't because of her kids who are all going away this weekend anyway. Woah there tiger, no dolly bird's worth that. She sounded reasonable until this point. Billy Casper wrote: Last night I got a kicking on the way home from the pub. Err... do tell. If you're well enough, like. you should add your tale to the now sadly tumbleweed-strewn 'share your twattings' thread if its any good. Any thoughts on here on the use of CBD oil or other Cannabinoidols (?) for cancer treatment? Looking at this as a possible option for my Mum for pain relief from upcoming strong chemo sessions. not sure how to broach it with her really, but as she was an ITU Nurse for 40+ years, i'm thinking empirical evidence or at least reliable studies might be the best option. Briefly: use, yes. As treatment, no. Usually as an adjunct to chemo to quell nausea and stimulate appetite. Not aware of any evidence for any anti cancer effect, anyone who tells you there is is lying. If you want anything pulling from the paywall, or contextualising, holler. 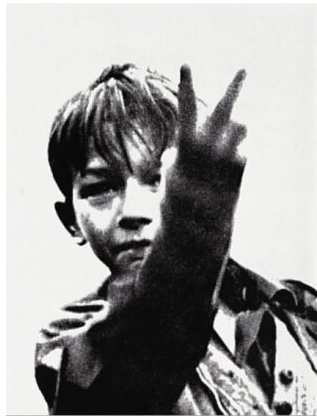 Billy Casper wrote: I think I am now. Last night I got a kicking on the way home from the pub. She thinks I got hit by a jealous husband. You couldn't make it up! The CBD thing is interesting, there are those who swear by it as an aid to a healthy/restful life (looking at you, Krust, shilling the stuff in my Twitter feed). No idea if there's any solid trial data - as you will see from the NCI page, the work just doesn't get done until someone really pushes for it - which is why Sativex had taken so long. The non-psychoactive compounds might be easier to persuade her to try, but if my understanding is correct there's no non-psychoactive preparation that has the right mix of effects in the areas you're rightly thinking of. How can you tell that all from a keyboard and with no friends, just colleagues and a wife, you keyboard warrior, you!!! This might seem like small news, but some more solid data for the immunotherapy checkpoint inhibitors has significance for two reasons: the FDA are approving this stuff on sight because of how well it can work, and pretty much for the first time a drug is being given based on shared defects across multiple tumours, rather than different drugs for particular kinds of tumour. Eighteen out of 86 advanced cancer patients had their tumour disappear. Excellent stuff. Edit: I hate this write up, but it might help explain it.